Have you experienced the magic of collecting sea shells on a beach? It truley is amazing. I have done it both as a child and with my own children and the magic is the same. You walk onto the beach not knowing what you will find, if any thing. When you do, it is like precious treasures. Sometimes you find broken pieces while other times it is full sand dollars, either way the reward feels the same. 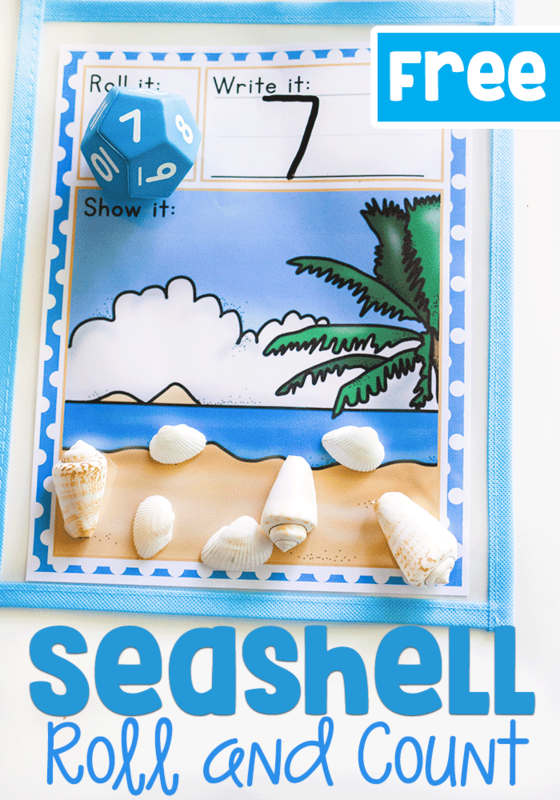 This is the inspiration behind this fun Sea Shell Roll and Count printable game. 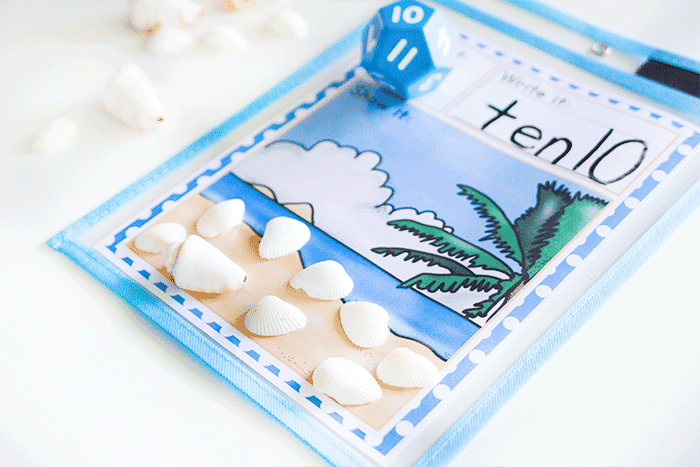 Roll and count games are perfect for introducing numbers or practicing number sense. There are multiple sections for diving into the different parts of a number as well as counting. 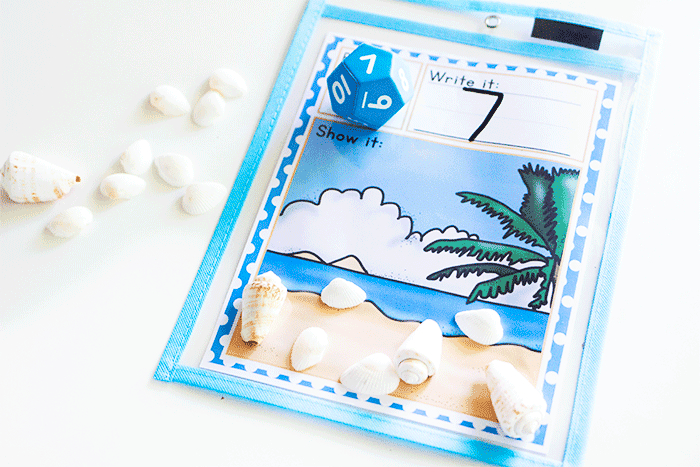 These make this printable game perfect for Preschool all the way through Kindergarten. The sense of mystery is also a fantastic aspect. Children won’t go 1 through 10 or 20 but whatever the die lands on. The anticipation makes this game even more exciting! The first step is to print the activity below. We like to laminate or use the dry erase pockets. 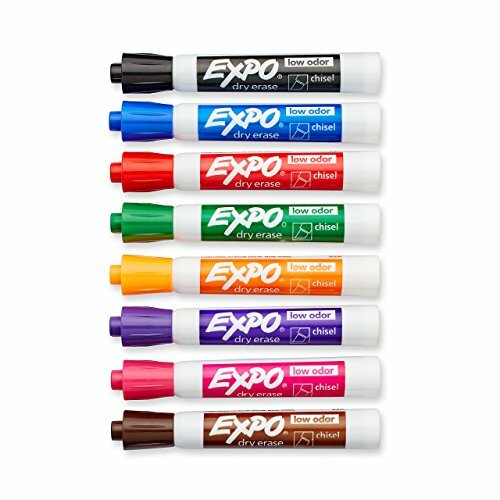 Overtime the dry erase pockets are more cost effective, but lamination works perfectly as well. 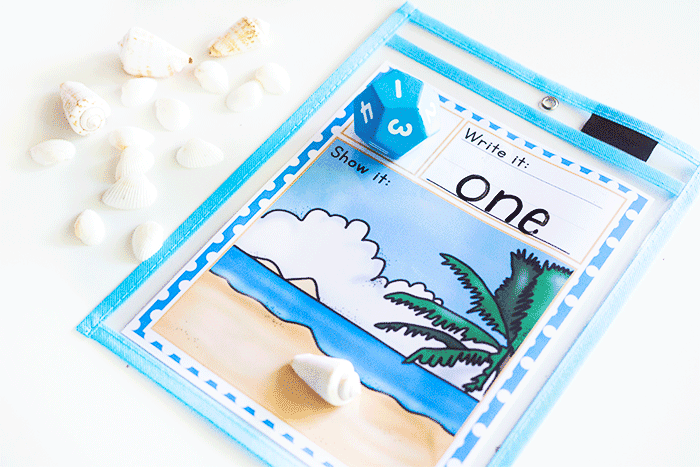 We will use lamination if it is an activity or theme that my daughter just loves and uses over and over. 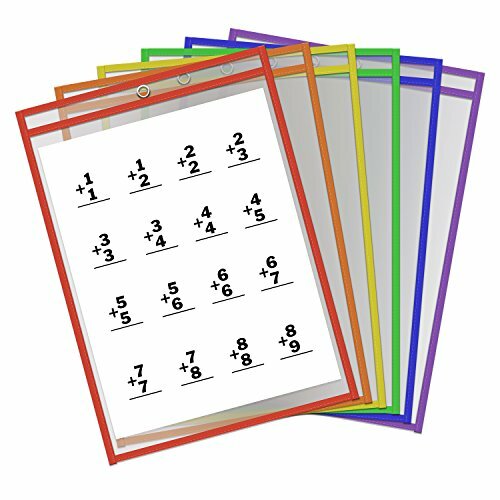 The lamination or dry erase pocket is necessary for writing the numbers. We gather the dice and our counters as well. 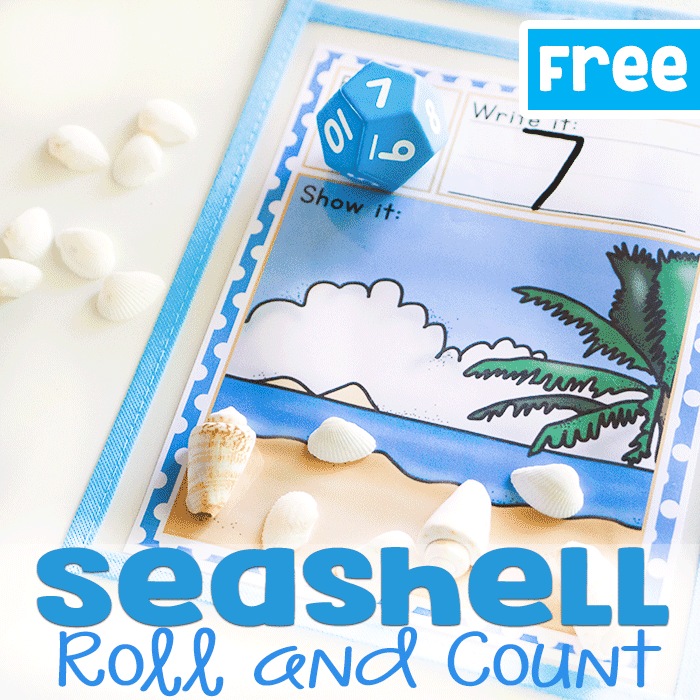 See all of our Roll and Count themed activities here. This is a super easy game to play. To start, have the child roll a dice. The number that the die lands on is the number that the child will focus on first. Have the child say the number, write the numerical symbol, the number word, and then place the correct number of counters on the space. When this is complete, remove the dry erase marker and the counters and start again. This can be done using addition. Roll the dice two dices, use counters to find the answer, write the answer number and number word. The same can be done with subtraction. 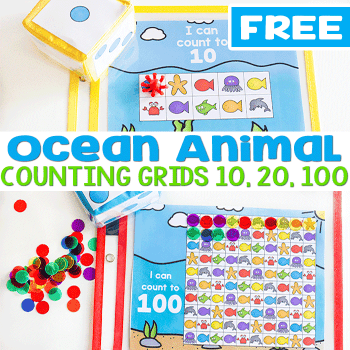 More Math Activities You’ll Love!